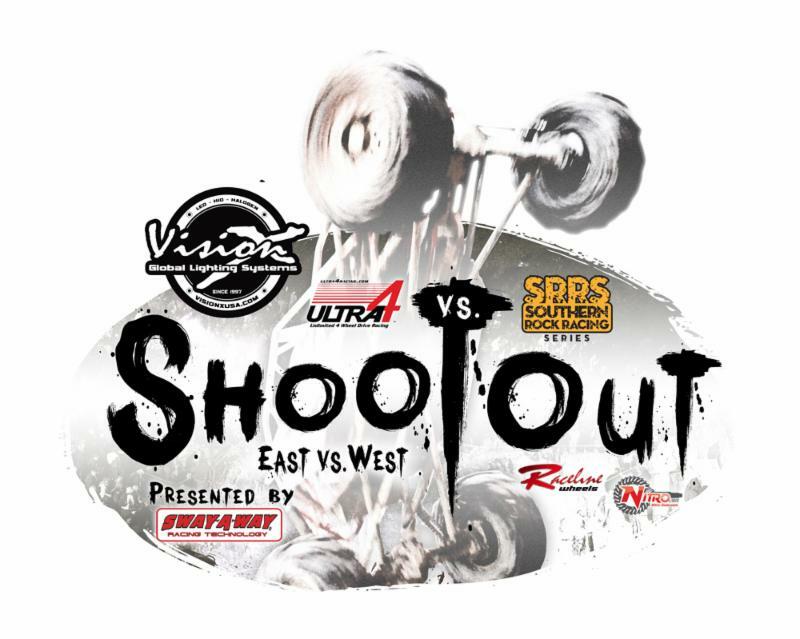 Dec. 23rd, 2014 – JOHNSON VALLEY, CA: After a successful debut in 2014, the Vision X ULTRA4 vs. SRRS East/West Shootout presented by Sway-A-Way will be returning to Johnson Valley, CA during KOH Week 2015. The event which pits the Southern Rock Racing Series (SRRS) Rock Bouncers against ULTRA4 cars in a shootout will again take place on the Monday preceding the 2015 Nitto King of The Hammers.The event will feature a combined 50 drivers from both racing series and will be held at 6PM on February 2nd, 2015. The canyon to be used for the shootout remains undisclosed at this time and will be announced in the coming weeks. The purse for the 2015 Vision X ULTRA4 vs. SRRS East/West Shootout Presented by Sway-A-Way will be $7500 to the fastest vehicle to complete the course. An additional $2500 purse will be awarded to the fastest driver from the opposite coast: for example if an east coast driver has the fastest overall time, the 2nd place prize will go to the fastest west coast driver. The dividing line between East and West will be the Mississippi River. Should International entrants outside of North America wish to participate, they will be considered west coast participants. There will also be an additional $2500 prize for best in show which will be awarded to the driver who is the crowd favorite. The purse and event would not be possible without the support of sponsors Vision X, Sway-A-Way, Raceline Wheels and Nitro Gear and Axle. The cost to enter this year’s shootout is $100 per entrant. ULTRA4 and SRRS are hand selecting the first 25 drivers to ensure a good representation of both SRRS and ULTRA4. Last year, the remaining 25 spots were sold out in less than an hour. This year, in an effort to allow more drivers a chance at entering, 50 drivers will have a chance to win one of the remaining 25 spots in a drawing. The drawing will be held at the Live Pre-KOH show on January 8th at the 4 Wheel Parts store in Compton, CA. To enter the drawing, drivers must pay the $100 registration fee located here. The drivers whose names are selected will be entered into the shootout. The drivers whose names are not selected will have their money refunded following the drawing. There are only 50 registration spaces available on a first-come, first-served basis. Drivers who wish to enter should sign up immediately.